Machilipatnam is the best Indian tourist place also identified as Masulipatnam. However, the name was given under British rule. The city is positioned in Krishna district, AP (Andhra Pradesh). 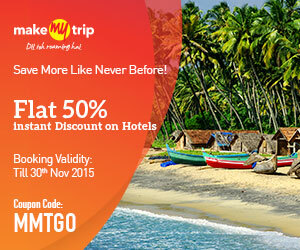 The good distance of this beach city is 347 kilometres from Hyderabad, state capital. In early period the city was named as Maisolos, though it got new names at regular intervals. Port in the city is positioned on the south-eastern side of town. 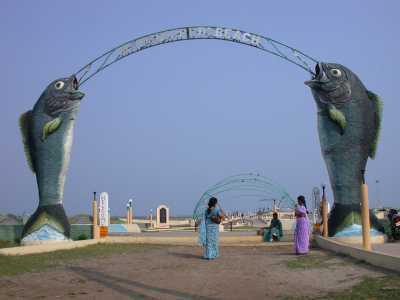 Machilipatnam words mean the place of fish so this city is also recognized as the fish town. The fishing harbour with 350 vessels is effective things to watch in Machilipatnam. However, Tsunami affected the city in 2004, and countless fishing towns got disturbed nearby the town. The tropical climate and greenery of the city make it unique destination then other Indian tourist places. Moderate climate of the city allows visitors to enjoy the place properly. However, the temperature increases between April to June. Kuchipudi Dance: The world-famous category of Indian dance Kuchipudi was originated in Machilipatnam that means the place is rich in art and cultural activities. The fabric Kalamkari and Kalahasti are famous throughout the world. Tourism: Bandar Kota or Machilipatnam Fort is first choice for visitors in this beach city. Next spot in this Indian tourist place is the old light house, next are temples and last with the best spot is the beach. Devotees of Sai Baba can reach to the biggest temple of Baba at Machilipatnam. Some other big shrines in town are Sri Ramalingeswara Temple, Sri Venkateswara Swamy Temple, Sri Nageswara Swamy Temple, Batchupet, Kojjillipet, Sri Ranganayaka Swamy Temples, Sri Bhadradri Temple, R.Pet shrine, Sri Ramulavari Temple, Main Road, are the famous temples in Machlipatnam,and Panduranga temple. Sai Maharaj Devalayam is the spot containing the tallest sculpture of Sri Shirdi Sai Baba. The state of Baba is recorded as the tallest baba’s sculpture in Indian Book of Records. Dattashram is the religious site of Machilipatnam has an antique temple of the lord Shiva. Beaches: Machilipatnam city is also recognized as beach's city having long, pristine, broad and light coloured sands. 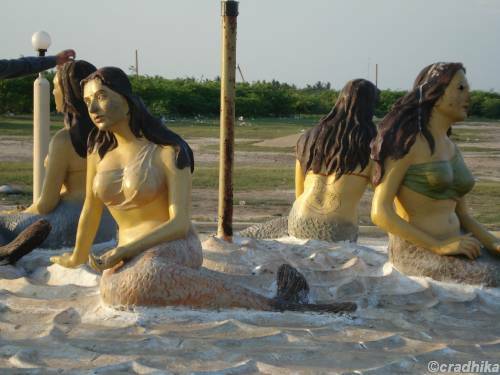 Manginapudi beach is the special destination for seashore lovers, though Palletalapalem is another beach available at just 11 km distance from the city. Palletalapalem is also known as a gateway to the nation India. Here visitors can visit to Sri Ganga Namma Temple established in 1977 particularly at time of huge cyclone came in South India. By Air: Biggest and closest air head to reach this beach city is Vijayawada. The gap of the airport to the Machilipatnam city is only 57 kms, and the port is connected with countless direct flights from almost every major city. By Rail: Machilipatnam railway station is linked with many major cities of India so reaching this Indian tourist place is possible through rail as well. The next big rail head to attain the spot is Chilakalapudi, which is only 6kms away. Vijayawada is next big station linked with big station of India. The distance of station from Machilipatnam is only 72 kms. By Bus: Bus network to reach Machilipatnam is possible from Bangalore, Guntur, Konoor and Hyderabad.